Welcome to the Ultimate Toolkit Dream Giveaway, where you can enter to win enough fabulous tools to last your lifetime. Whether you have just a pair of pliers in your garage or a whole array of gadgets, we know you’ve said at one point or another, “If I only had that tool.” Well, now you can. In cooperation with NAPA Auto Parts, we’ve put together a veritable treasure chest of today’s most popular, professional-grade tools and accessories. This ultimate tool package is valued at over $10,000. 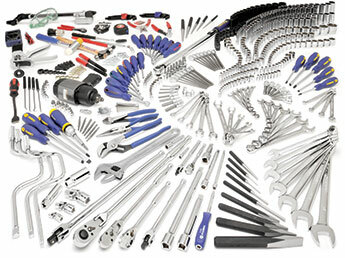 The Carlyle Master Technician Set includes a 433-piece assortment of the most popular hand tools guys like you want most, like 229 ¼-inch, 3/8-inch and 1/2-inch drive tools including impact sockets, a ½-inch drive air-impact wrench, 33 combination and specialty wrenches, basic electrical, brake and torque tools, and 143 additional hand and service tools. This comprehensive collection of tools and accessories can tackle nearly any household or automotive project that comes your way. 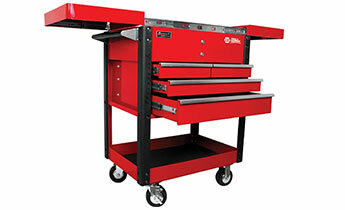 Keep your tools clean and organized with the Homak 72-inch rolling cabinet with stainless-steel tops. 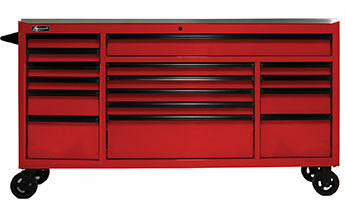 This professional tool cabinet features 16 full-length aluminum drawer pulls with lift latch system, black plastic end caps, ball-bearing slides with 100 lb. capacity in every drawer, four 5x2-inch casters with 660-lb weight capacity each, PVC foam drawer liners, and the industry’s toughest finish: 3.2 Mil of durable, UV protected powder coat in a Fury Red color. 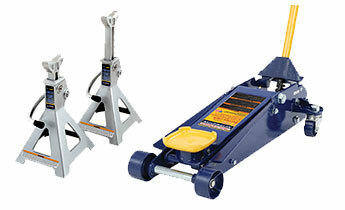 Things are always looking up when you depend on NAPA’s Balkamp 3-ton floor jack. Designed for the discriminating professional, it features a heavy-duty frame for rugged applications, large front wheels and rear casters for easy maneuvering, sealed hydraulic pump for durability, a pressure relief valve to prevent overloading, and an in-line pump assembly for long life. Other great features include a one-piece handle, flanged side plates for increased strength and a wider footprint for more stability under load. It is assembled in the USA. How many times has your car’s battery died on you while it’s parked in your garage, carport or driveway? This wheeled, fully automatic and computer-controlled professional-style battery charger will make the click-click sound the thing of the past. 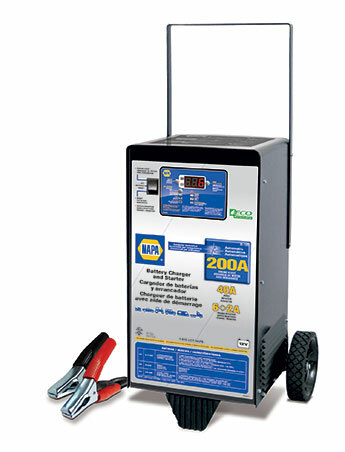 This professional-style wheeled battery charger features reverse hook-up protection, 200-amp engine start, 40-amp boost, 6 - 2 amp variable charge maintain, and easy-to-use push buttons. When you need a lift, look no further than these professional 3-ton jack stands that comply with the latest ASME PASE-2014 safety standards. This set of four jacks—enough to keep your car or truck off the ground—feature aluminum construction, ratchet extensions, and a support column secured to the base by an integrated base screw. 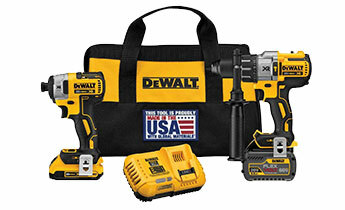 Enter now to win the ultimate tool kit, courtesy of your friends at Dream Giveaway. How Do I Win this Prize?